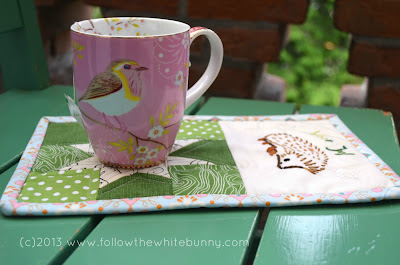 Together with Luna I made this sweet mug rug for her teacher's birthday this Wednesday. 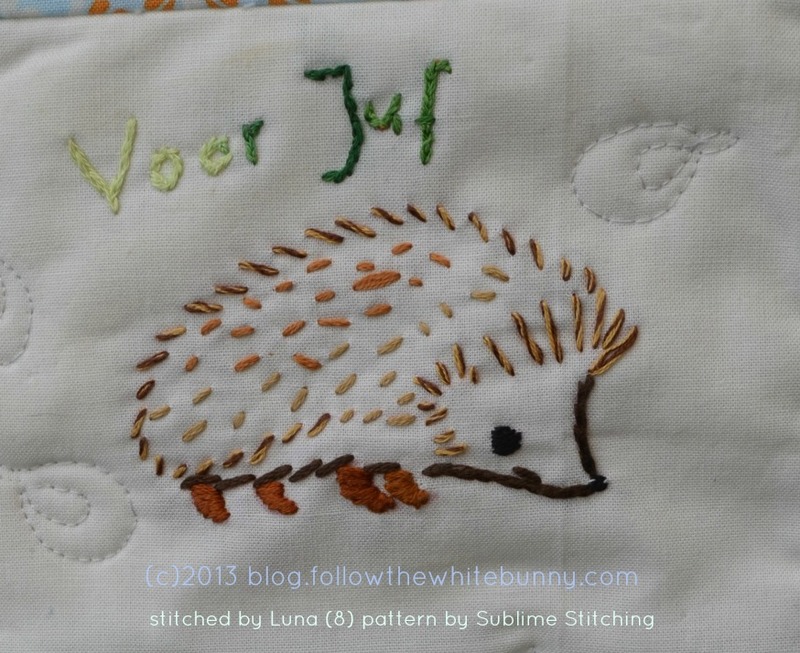 Luna did the Hedgehog embroidery and has worked on and off on her project for a couple of months at least. I think she did a great job! 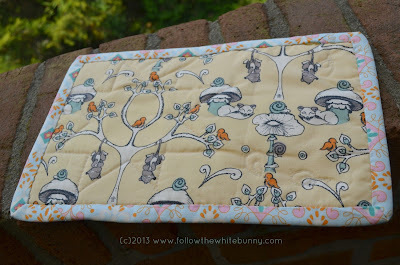 The backing fabric is one I scored at the 'ugly' fabric swap at the Double Dutch Quilt meeting I attended recently. Obviously it's not ugly at all but I know it's former owner did not know what to do with it and I'm glad I could put it to good use now. Moving on to the winner of the Three Kitchen Fairies hexagon templates. The Random Generator has chosen Sue Vaughan as winner. Congratulations! I hope you will enjoy Paloma's hexagon templates as much as I do. Sue, I will pass your e-mail address on to Paloma and she will contact you for your address etc. Many thanks to all who entered and please consider buying a pack of hexagons in Paloma's shop. I have a busy week ahead with an interesting commission that needs my full attention and traveling to London this Friday. Eeep! But Luna's one is the cutest!!! 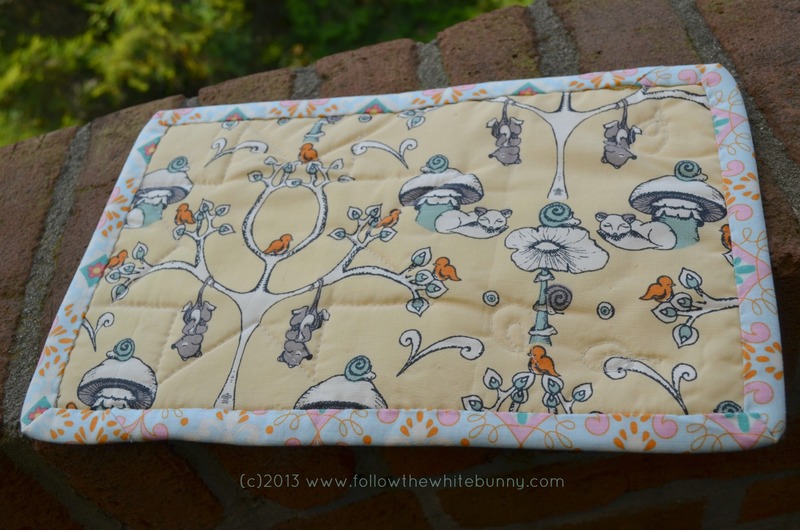 The mug rug is adorable! Luna did a fabulous job. Such a fantastic gift! She did some beautiful work. I was teaching foundation piecing to a hen party yesterday and I was talking cross stitch to the bride and she reads your blog. So two avid readers from jersey. :) See you on Friday.